Valentine’s Day is this weekend, and I think it’s about time that we take a big step up from the traditional box of chocolates. 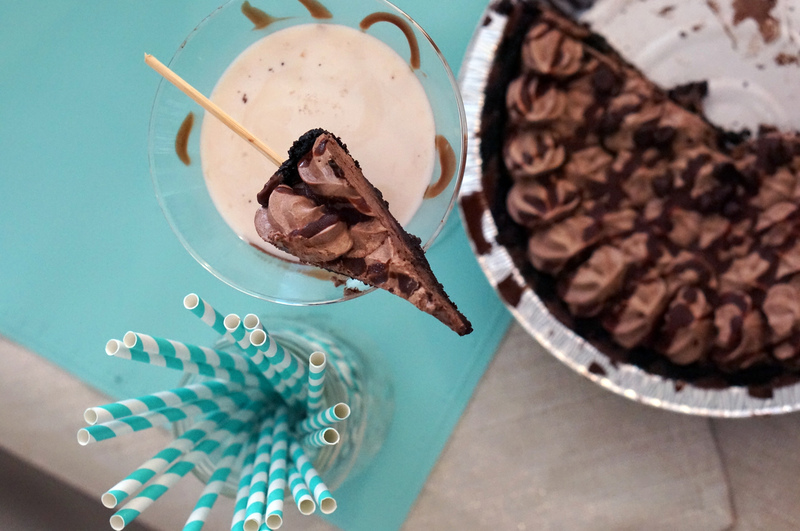 And what’s a better option than a yummy homemade dark chocolate martini! 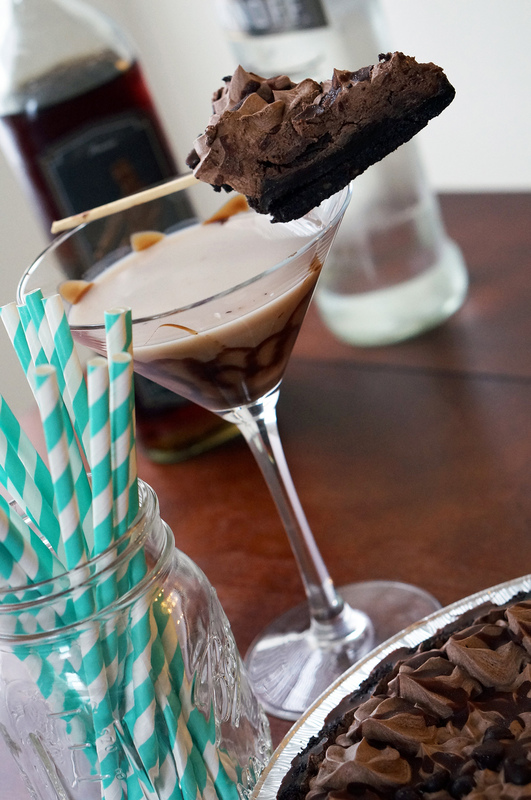 2) Drizzle Chocolate syrup on the sides of the glass and pour mixture into martini glass. 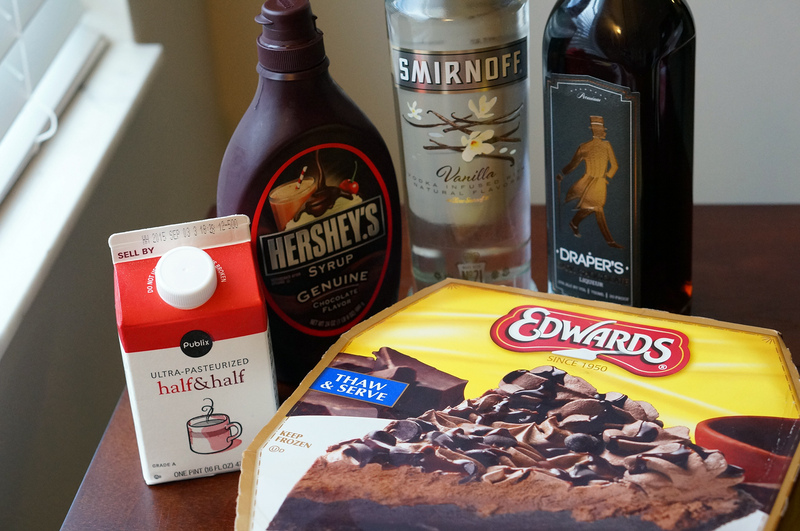 3) I garnished my chocolate martini with tiny slice Edwards dark chocolate pie (you can find it in the freezer section of the grocery store). I cut a tiny piece of pie and put it on a wooden stick so that I could balance it on top of the drink. Click here to watch my step-by-step video!